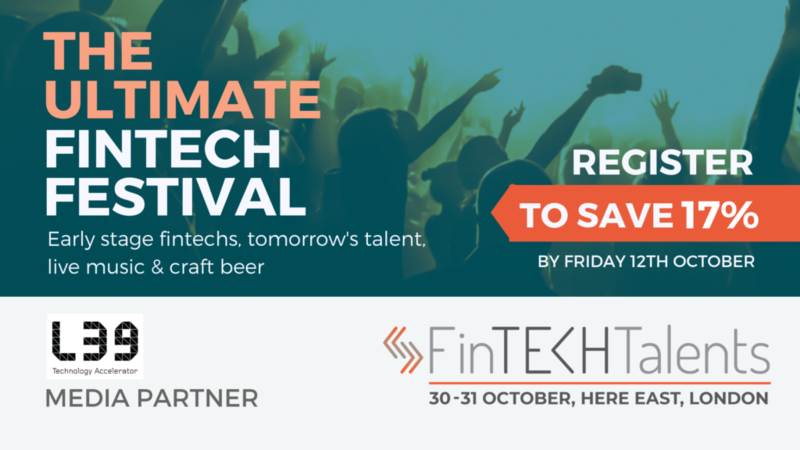 FinTECHTalents is the ultimate fintech festival offering two days of innovation, collaboration, live tech demos, music & craft beer – and is being held at Here East, London for its inaugural edition. As the only fintech festival in the UK, FinTECHTalents has disrupted the market creating an opportunity for the entire fintech ecosystem to convene under one roof on the 30th & 31st October. With over 2,000 attendees, FinTECHTalents will connect tech start-ups, financial institutions and academia in a unique setting. With an innovative and unique conference programme, a live music stage and structured networking opportunities, FinTECHTalents offers an unbeatable two days of inspiring content and conversation in London’s thriving tech hub – Here East. Level39’s Head Of Content Asif Faruque will be joining the event for the panel on culture, innovation and transformation. The first day consists of festival goers entering ‘Today’ – an examination of themes the industry is dealing with right now. On the second day guests will enter ‘Tomorrow’ where they will experience the technological and cultural changes, as well as meet the future leaders of fintech, which will impact the financial services industry for decades to come. As FinTECHTalents 2018 draws to a close our community will leave with the knowledge, insights and contacts to enter ‘Beyond’ and continue shaping the Fintech industry of the future. The festival has already met with an overwhelmingly supportive response across the sector, with sponsors on board including Finastra, Pluralsight, TSB, and more; and partnerships with over 25 universities and education providers from across the UK. FinTECHTalents is the only event that brings together the full ecosystem: tech and talent moving in tandem.